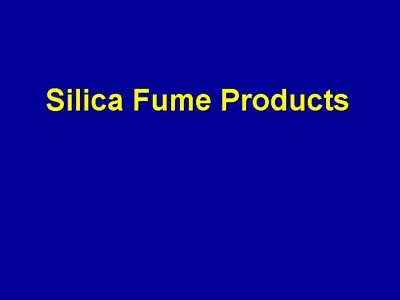 This section of the presentation describes how silica fume is available for use in concrete. The various wet and dry product forms are described, including as- produced fume, slurried fume, and densified fume. Information on how these products are prepared is also presented. Blended cement containing silica fume is described. Pelletized fume, which is not suitable for use in concrete, is also described.